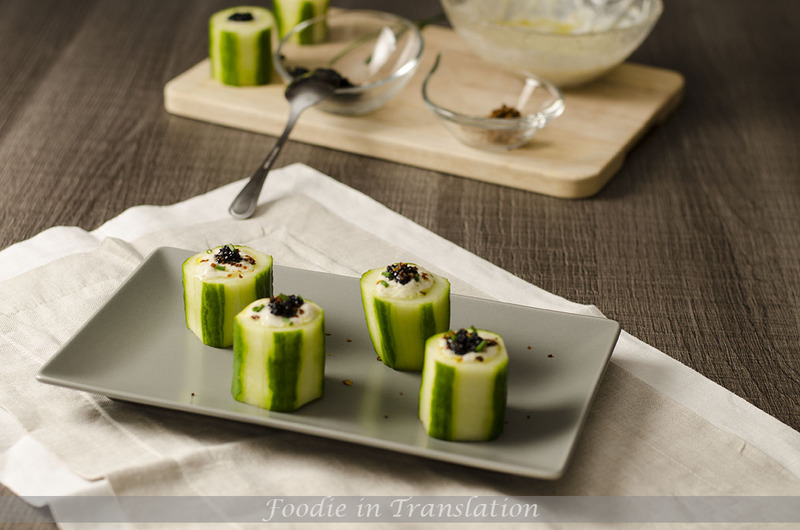 I have been thinking for a while about making some appetizer with cucumber, but I couldn’t find a really good idea. Yesterday, unexpectedly, using what I had into the kitchen, the idea is finally arrived! And I think this appetizer will be perfect for the Christmas Eve fish feast. Wash the cucumber and the chives. 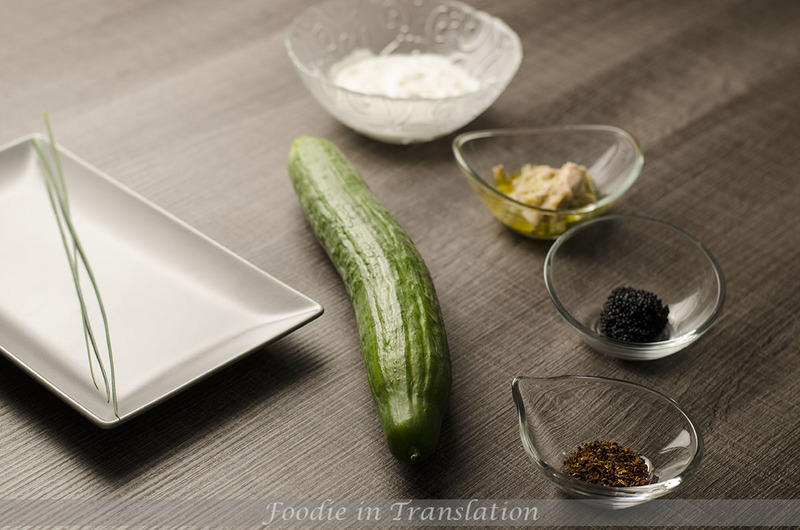 Peel the cucumber roughly, so you will have a striped look, and cut crosswise it into 4cm thick slices. With a knife or a melon baller scoop out the center of each cucumber slice. Pay attention: don’t dig too deeply. In a small bowl place the creamy cheese and the tuna, season them with salt and pepper and combine them. Using a teaspoon, fill the “cucumber cups” with our creamy tuna. 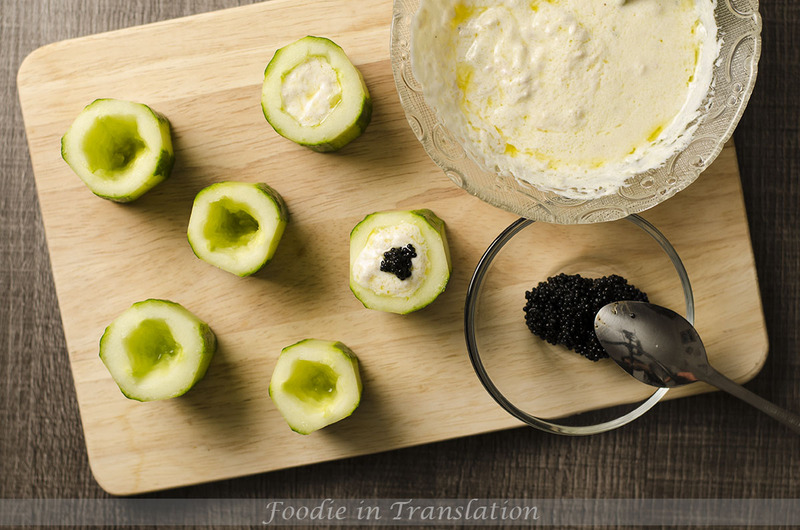 Place on top some lumpfish caviar. Sprinkle the cucumber bites with the sun dried tomato powder and the minced chives. The lumpfish caviar and tuna cheese cucumber bites are ready.